How America’s best selling motorcycle marque became notoriously tied to a criminal underworld. Outlaw biker gangs like the Hell's Angels have been identified with Harley-Davidson motorcycles since the first member of Chicago's Outlaw Motorcycle Club threw his leg over a motorcycle back in the '30s. Over the years, Harley has tried at various times to distance itself from the outlaw image, and embrace it as a means of selling bikes and various pieces of pirate cosplay accoutrements. How did this come to pass? Why are Harleys the go-to bikes for biker gangs? Let's start off by talking about what constitutes an outlaw motorcycle gang. The American Motorcyclist Association sanctions competition and organizations such as motorcycle clubs. 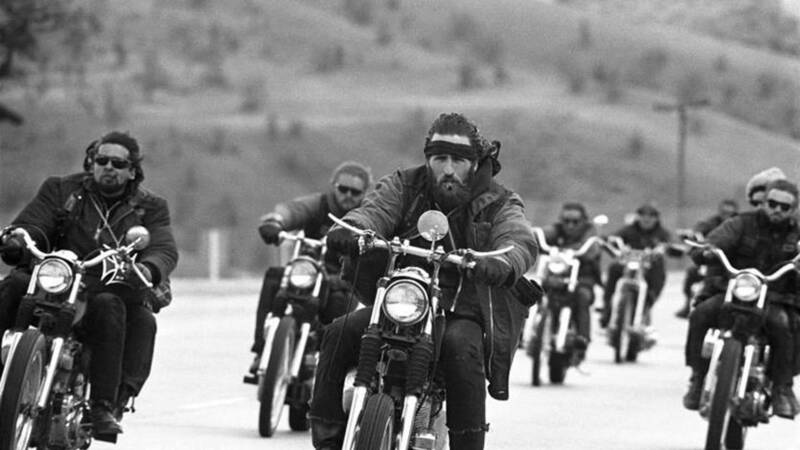 Some sources say the origin of the term "outlaw biker group" was in reference to clubs that weren’t sanctioned by the AMA. After several members of these non-AMA-sanctioned clubs made the news as a result of their criminal shenanigans, the term gained a closer association to disregard for the law. The AMA didn’t like the bad rap these groups gave the rest of the motorcycling community, and actively took steps to combat these clubs in a number of ways. One such famous campaign resulted in the banning of Outlaws club insignia at races and other AMA-sponsored events. In 2015, the US Justice Department reported there were roughly 500 large outlaw motorcycle gangs active in the United States. If smaller clubs were counted, that number jumped to around 2,500 gangs nationwide. 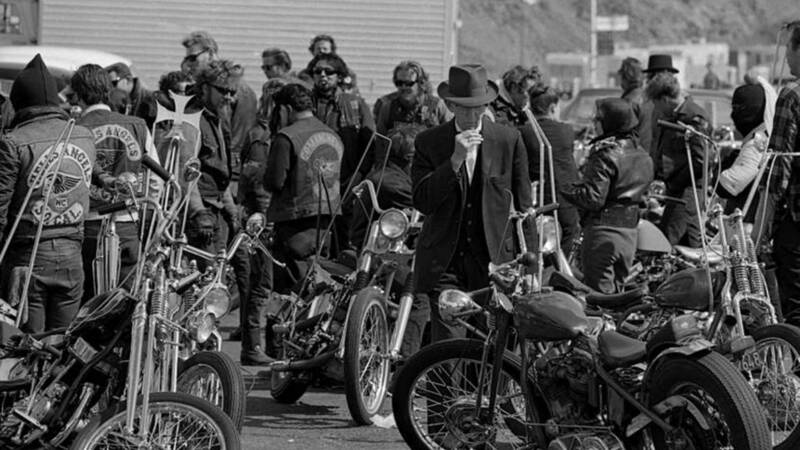 The FBI estimates that about 45,000 Americans belong to biker gangs. 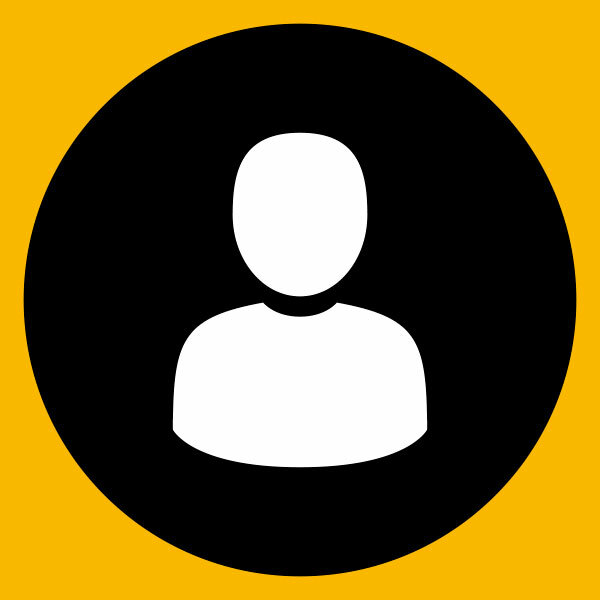 Despite law enforcement combating these organizations, they continue to attract new members and grow. 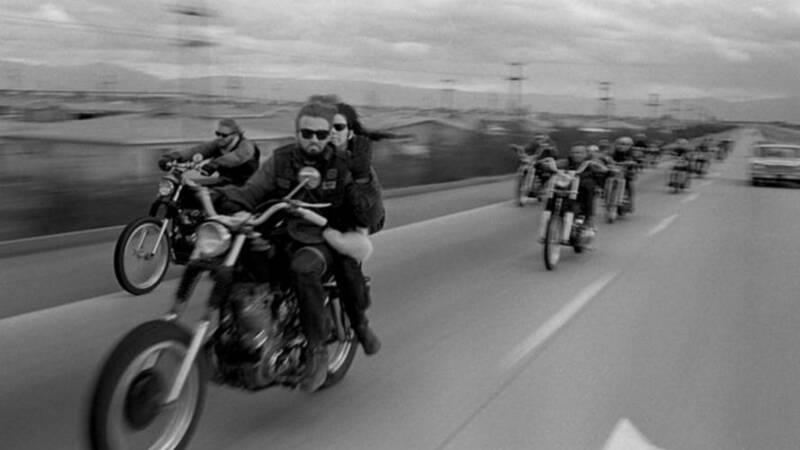 Some clubs, like the Hell's Angels and The Outlaws have chapters all over the planet. The term one percenter, which is commonly associated with biker gangs, refers to the fact that outlaw gangs make up a minute percentage of motorcycle clubs, according to the American Motorcycle Association. The public’s romantic perception of the criminal biker image is largely due to TV and film, from Marlon Brando’s 1953 film, The Wild One (Brando rode a Triumph in that, by the way. -Ed.) to the more recent “Sons of Anarchy." To even begin to grasp how Harley-Davidsons became the status quo in outlaw motorcycle gang), you have to go back to the beginning. Supposedly, the very first outlaw group was founded in 1935 in a suburban Chicago bar. By their nature, outlaw organizations are hard to track, and it's difficult to find consensus on their history. So, it's very possible that other groups will claim to have been first. For the purpose of this article, though, let's say that the unimaginatively named “Outlaw Motorcycle Club,” more commonly known as simply the Outlaws, were first. 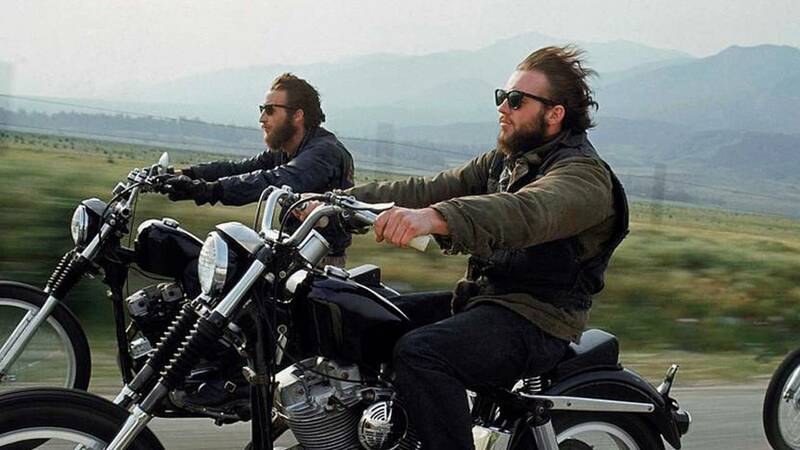 It would be another 13 years before the Hells Angels appeared on the scene in the San Bernardino, California. The Angels, Outlaws, and other clubs experienced exponential growth in the post-World War II era thanks to a large influx of disenfranchised ex-military personnel. Disenfranchised or not, most of those returning soldiers felt strongly about the country they fought for. With this sense of loyalty, identity, patriotism, and pride, most American veterans in the 1950s and 1960s wouldn’t consider buying a non-US-made motorcycle. Adding to this, Harleys were actually the cheap bikes of the time. This was amplified by the fact that the US Army sold off inventory of surplus bikes following the second world war. When these surplus scoots – many of which were Harleys – were sold off to the public, the buyers would chop off rifle-scabbards and radio-mounts that the bikes required for military use, eventually giving way to the chopper movement. In the same vein, many of the ex-military one percenters possessed a strong sense of patriotism, and many of them also harbored a resentment toward the nations the US had so recently fought. Axis nations weren’t really selling or exporting motorcycles after WWII, as they were busy getting back on their feet – meaning the only other real option for Americans at the time was to buy a British bike. Brit machines typically boasted superior speed and performance, but came at a steeper price. When Japan finally did get back on its feet, outlaw remained opposed to buying Japanese bikes, especially considering how the AMA embraced Japanese machinery. In addition to being uniquely American, H-D’s machines embody freedom, independence, rebellion, strength, masculinity, and are just plain badass. Though Harleys have become a lot more expensive since the post-WWII era, they remain the go-to choice for anyone looking to get involved in an outlaw motorcycle group. Many unofficial lists of requirements for joining a one percenter MC include owning a functioning Harley-Davidson, though some do specify that exceptions such as Indians and Buells are sometimes permitted. In addition to just owning one, members are expected to utilize the V-twin-powered American motorcycles as their primary means of transportation. Throughout the decades, many outlaw groups stuck with their Harleys even when they might have been better served by other marques. This baked-in bike chauvinism – along with other one-percenter elements like tattoos, club vests, beards – built a mystique around bikers like that enjoyed by Italian mobsters and Robin Hood-like criminals. Harley, never a company to leave a marketing opportunity alone, quickly capitalized on this mystique. “The outlaw movement has given Harley-Davidson an edge of toughness,” said Adam Wright, the director of Marketing at Harley-Davidson Australia and New Zealand in 2013. “We try to appeal to people who do not have much adventure in their lives. Our mantra is ‘Harley-Davidson fulfills the dream of personal freedom.’ Doctors, lawyers, accountants, plastic surgeons … we appeal to all of them. All are attracted by the brand’s hard edge, and the lure of escapism." 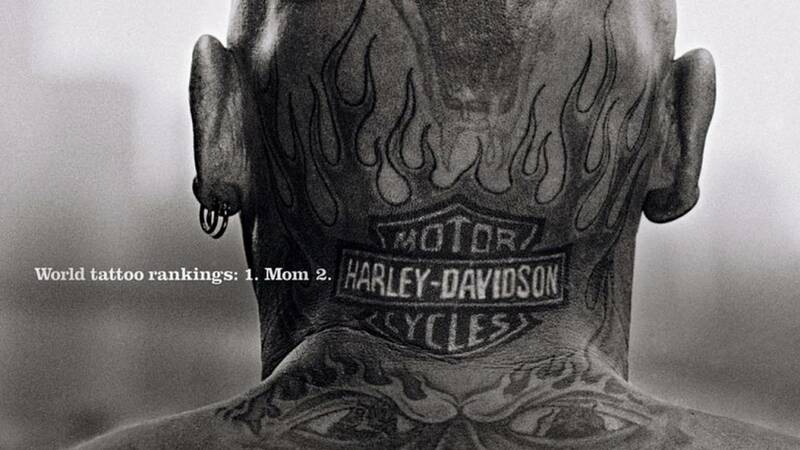 With tens of thousands of full-patched motorcycle gang members in the United States – the vast majority of whom ride Harley-Davidson motorcycles – it’s not hard to see why America’s favorite marque has become notoriously tied to the gangs themselves.